Today is Throwback Thursday so we bring you a fun throwback song with jewelry, gemstones or precious metals in the lyrics or title. 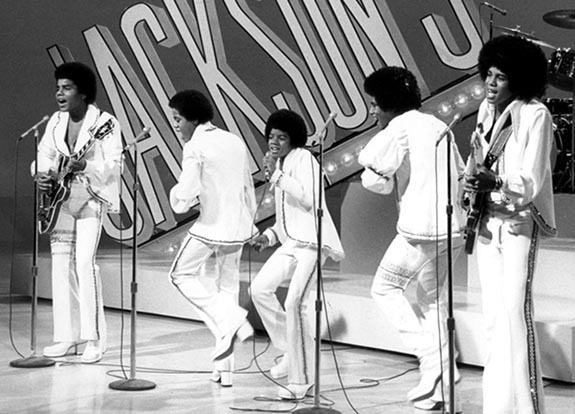 Today, we step into our time machine and travel back to May 10, 1970, the day The Jackson 5 performed “The Love You Save” on The Ed Sullivan Show (talk about throw backs!). In the song, a young Michael Jackson is tormented by his girlfriend who can’t seem to shake her cheating ways. When they were little kids, she was always chasing after the boys. Now that they're both older, Michael's promise ring is not enough to keep her faithful to him. Music historians believe that the emphatic “stop” at the beginning of “The Love You Save” is an homage to The Supremes’ “Stop! In the Name of Love,” which was released on the Motown label in 1965. Diana Ross, the lead singer of The Supremes, is often credited with having discovered The Jackson Five (also on Motown Records). The founding members of The Jackson Five included brothers Jackie, Tito, Jermaine, Marlon and most notably Michael. During a successful run from 1964 to 1990, the group (later to be called The Jacksons) amassed international legions of screaming fans and sold in excess of 100 million records, making them one of the most successful musical groups of all time. A deeper look at the lyrics reveals that he's actually referencing Isaac Newton, Alexander Graham Bell, Benjamin Franklin and Christopher Columbus.